An expansive and dangerously cold airmass will settle in across the Mid-South for the next couple of days. 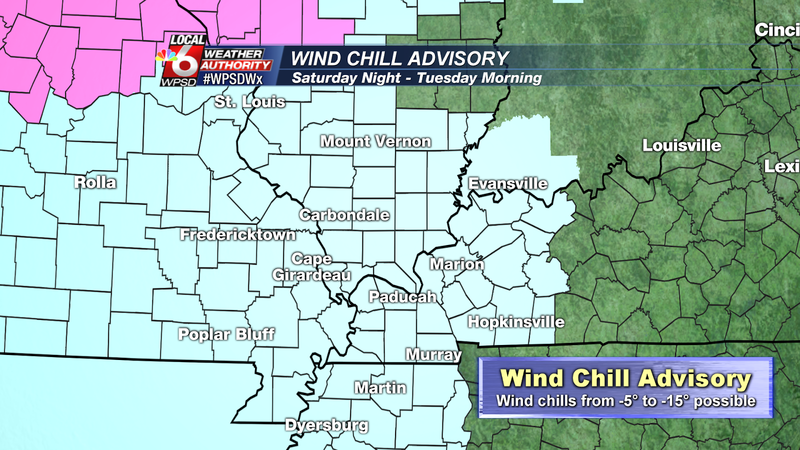 At times, winds will also be breezy, combining for wind chill values below zero. 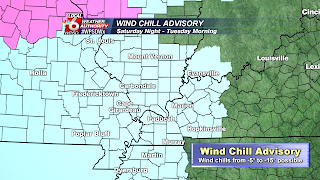 The National Weather Service in Paducah and Memphis have issued a WIND CHILL ADVISORY that goes into effect Saturday evening at 6PM and runs through Tuesday morning. This includes the entire Local 6 area. This arctic air outbreak will bring the possibility of near record lows headed into the New Year and start to next week. Average low temperatures are typically at 26 degrees compared to the single digits expected the next several days. 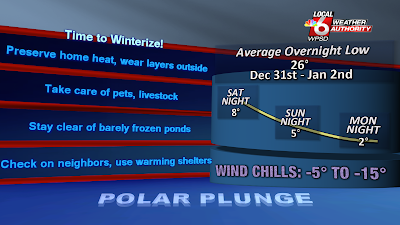 Making the cold weather even more dangerous, daytime highs will not reach above freezing until after the New Year. 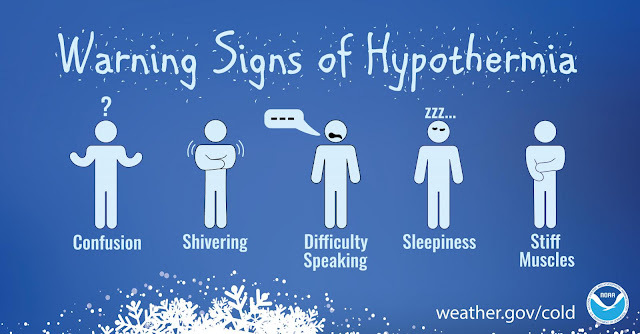 The dangerously cold temperatures with lower wind chills will combine to make frostbite and hypothermia more likely. 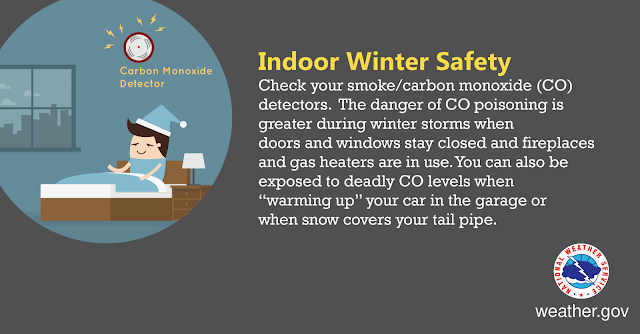 Wearing layers of clothing, covering extremities, and limiting time outdoors is the best way to protect yourself. This will be very important to remember as kids return to school next week. Warming shelters (listed here) should be considered if an efficient source of heat is not available. If using an alternative heat source, be sure to appropriately vent the source.Take precautions today to ensure the best heat retention for your home. This includes insulating exposed pipes to prevent bursting, sealing off unused rooms, sealing cracks (with a towel or blanket), and unhook any hoses from faucets outside. 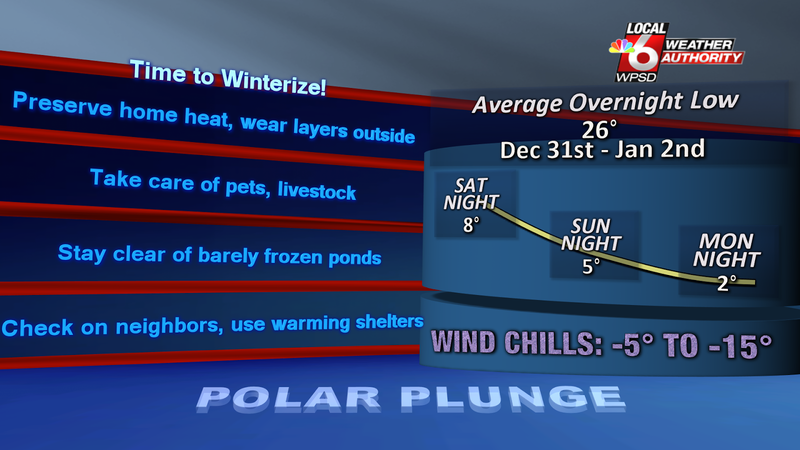 Pets and livestock will be especially vulnerable to the prolonged cold. Many animals die due to dehydration. Providing extra bedding, unfrozen water, and extra protein will go a long way in helping them retain warmth. Domesticated animals should be allowed alternative shelter than being exposed to the outdoors. For additional resources use the following link to access the Weather Ready Nation page provided by the National Weather Service. CLICK HERE. WPSD Local 6 is proud to be an Weather Ready Nation Ambassador of Excellence. To read more about this weather system along with weather through out the local area; click here.